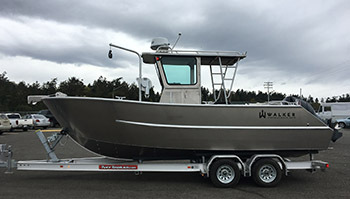 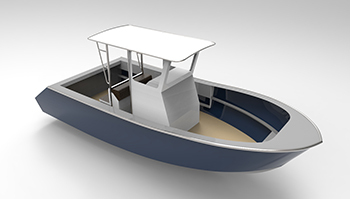 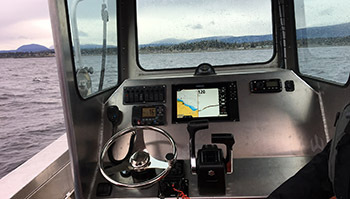 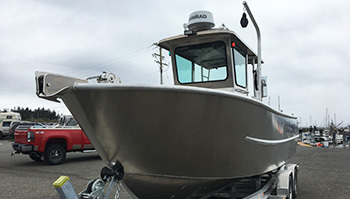 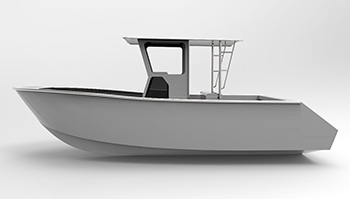 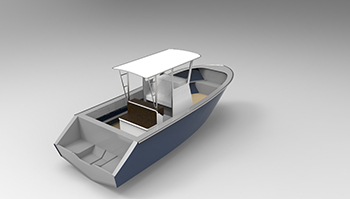 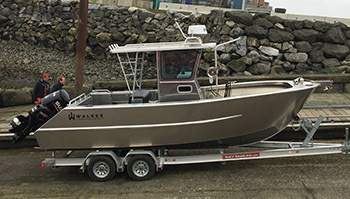 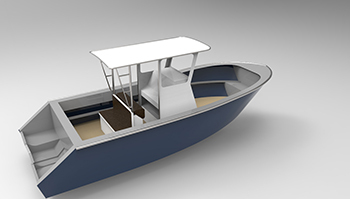 This boat is a pure west coast sport fishing boat with side lockers for your fishing gear and space in front of the console for a large combination seat/cooler for the fish you catch. 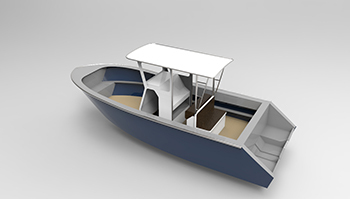 It has a generous amount of space in the center console to accommodate a portable toilet. 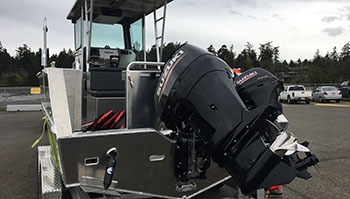 With a 225hp outboard it does 40 knots and cruises at 30 knots.